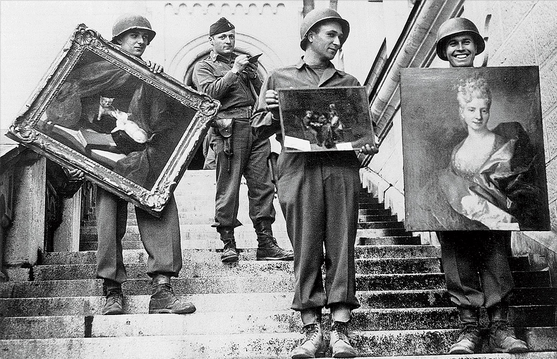 Before the George Clooney movie there was the revealing and definitive book The Monuments Men, by Robert Edsel. I thought the book was fascinating when it was published, and nothing has changed my mind since. Edsel is getting a lot of publicity because of the movie, and I hope it’s reflected in his sales and in the prosperity of his Monuments Men Foundation. He did an outstanding interview on Charlie Rose two weeks ago, then was on BookTV last week. He’s scheduled for an appearance sponsored by the Jewish Federation of Sarasota next month. If you’ve read Treasure of Saint-Lazare, you know it’s all about that painting. 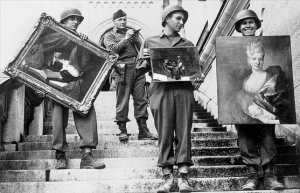 It’s the story of a search that spans the Atlantic from Sarasota to Paris and back, and is filled with scenes of romantic walks through Paris and a drive in the Loire Valley — all in the quest to get to the painting and its accompanying trove of Nazi gold. I invite you to try it. Kindle, paperback and audiobook editions are available on Amazon.com, at http://j.mp/UKIVVi, and the paperback is available at Bookstore1Sarasota. Treasure of Saint-Lazare reached #25 on Amazon’s historical mystery best-seller list and #45 on the Amazon France suspense thriller best-seller list. Thanks to you if you’re one of the readers who got it there.